• Interframe design with integrated non-slip periphery adds confidence in the most demanding field circumstances. 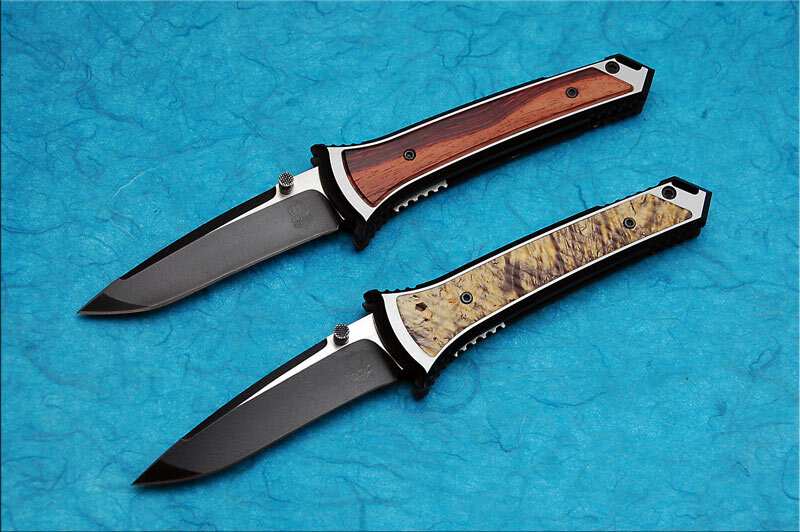 • Tough G-10 or micarta inlays are raised .02” above the surface and textured with our “StrongHold Impala” grip. • Hardened 416ss (rc42) frames with a KG 2400 coating over a phosphate dip. • A heat treated 3/16ths stainless steel pivot pin and phosphor bronze washers allows for a smooth action. • Hardened full backstrap spacer provides the stop and is superior to the standard stop pin used in most folders. • A .055” 17-7ph stainless steel lock spring provides the lock up and is triple anchored over 3 bosses. Oversize ball detent insures a strong nested position. 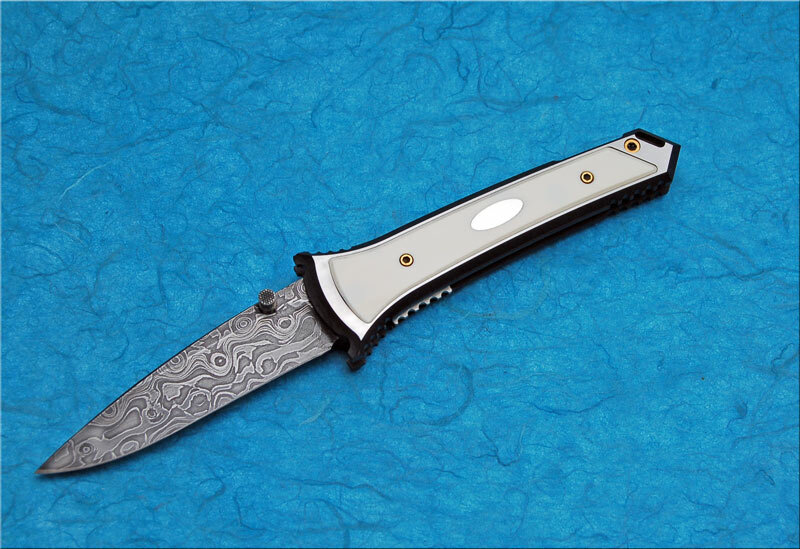 • Hand made ambidextrous thumbstud in a blade that is 3.4” in length and .187” in thickness. 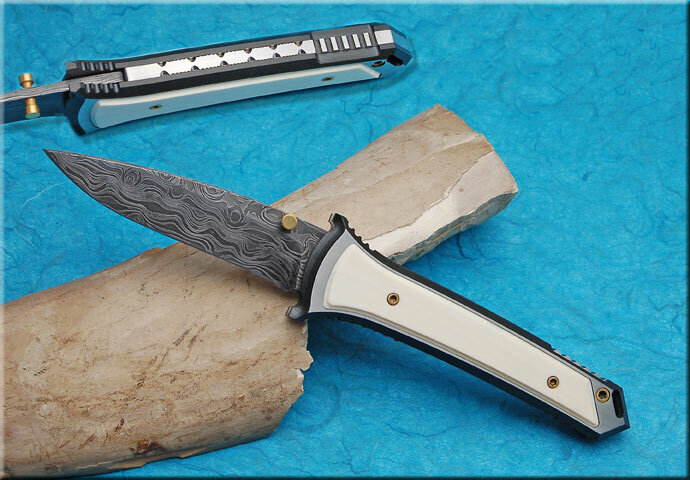 • Blades are CPM s30v Crucible powdered technology (rc 59-60) with a KG 2401 coating over a phosphate dip. 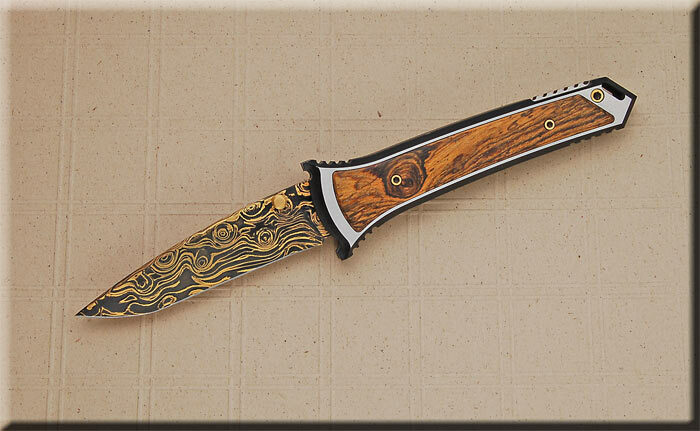 • All knives are heat-treated in a computer controlled inert atmosphere oven. A triple sub-zero quench in liquid nitrogen provides the tempering. 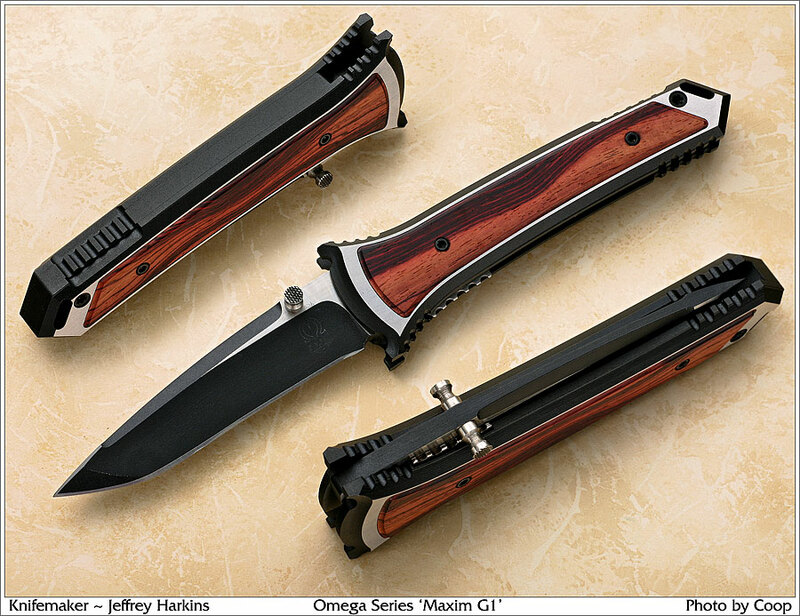 • Blades are hand ground by Jeff Harkins on a 12 wheel, for a superior cutting geometry. • A reinforced modified compound grind at the tip provides excellent penetrating qualities while maintaining maximum strength. Please give me a call if you would like an option not listed.